We are proud to be one of the first cannabis brands to participate in the Echo Park Craft Fair. Featuring works by over 120 artists and drawing thousands of guests, the 2-day art and design event in Silverlake, California, celebrates innovators creating in a vasty array of mediums – from ceramics to jewelry, perfumes to clothing design, woodworking to fabric art. 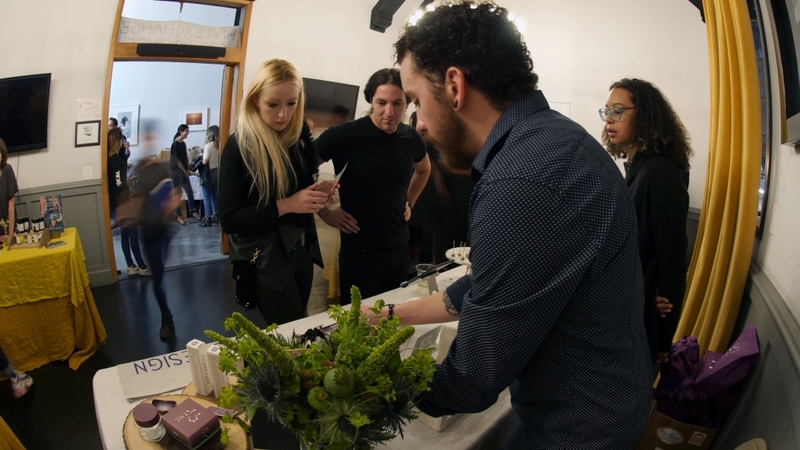 The surge in interest in cannabis products led organizers to include a CBD Lounge featuring a high-end selection of women-owned cannabinoid products and accessories, showcasing oils, tonics, edibles, lotions, salves, accessories and more. We unveiled our new CBD infused baked goods line in collaboration with Quality Concentrates and our CBD oil made with pure CBD isolate!